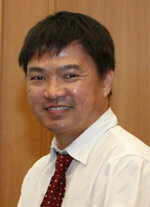 Beng Chin is a Distinguished Professor of Computer Science, NGS faculty member and Director of Smart Systems Institute (SSI@NUS) at the National University of Singapore (NUS). He is an adjunct Chang Jiang Professor at Zhejiang University, a visiting Distinguished Professor at Tsinghua University, and the director of NUS AI Innovation and Commercialization Centre at Suzhou, China. He obtained his BSc (1st Class Honors) and PhD from Monash University, Australia, in 1985 and 1989 respectively. Beng Chin is a fellow of the ACM 2011, IEEE 2009, and Singapore National Academy of Science (SNAS) 2016. Beng Chin's research interests include database systems, distributed and blockchain systems, machine learning and large scale analytics, in the aspects of system architectures, performance issues, security, accuracy and correctness. He works closely with the industry (eg. NUHS, Jurong Health, Tan Tok Seng Hospital, Singapore General Hospital, KK Hospital on healthcare analytics and prediabetes prevention, and banks and investment firms on financial analytics), and exploits IT for disruption and innovation in various appplication domains, such as healthcare, finance and smart city. He has H-index of 76 and citations of about 20,000. Beng Chin serves as a non-executive and independent director of ComfortDelgro (listed on SGX), as an advisor of a RegTech company, Cynopsis Solutions and Huobi for its Huobi Chain, He is a co-founder of yzBigData(2012) for Big Data Management and analytics, and Shentilium Technologies(2016) for AI- and data-driven Financial data analytics, Hangzhou MZH Technologies for Healthcare, and MediLot Technologies(2018) for blockchain based healthcare data management and analytics. He is a member of Hangzhou Government AI Development Committee (AI TOP 30). Beng Chin was the recipient of ACM SIGMOD 2009 Contributions award, a co-winner of the 2011 Singapore President's Science Award, the recipient of 2012 IEEE Computer Society Kanai award, 2013 NUS Outstanding Researcher Award, 2014 IEEE TCDE CSEE Impact Award, and 2016 China Computer Federation (CCF) Overseas Outstanding Contributions Award. He was a recipient of VLDB'14 Best Paper award. Beng Chin has served as a PC member for international conferences such as ACM SIGMOD, VLDB, IEEE ICDE, WWW, and SIGKDD, and as Vice PC Chair for ICDE'00,04,06, PC co-Chair for SSD'93 and DASFAA'05, PC Chair for ACM SIGMOD'07, Core DB PC chair for VLDB'08, and PC co-Chair for IEEE ICDE'12, IEEE Big Data'15, BOSS'18 and IEEE ICDE'18. He is serving as a PC co-Chair of Industry track of VLDB'19, BCDL'19 and ACM SoCC'20. He was an associate editor of VLDB Journal, Springer's Distributed and Parallel Databases and, IEEE Transactions on Knowledge and Data Engineering, Editor-in-Chief of IEEE Transactions on Knowledge and Data Engineering (TKDE)(2009-2012), and Elsevier's founding co-Editor-in-Chief of Journal of Big Data Research (2013-2015). He is serving as an associate editor of IEEE Transactions on Cloud Computing (TCC) and Communications of ACM (CACM), and the founding editor-in-chief of ACM Transactions on Data Science (2018 -). He has served as a co-chair of the ACM SIGMOD Jim Gray Best Thesis Award committee 2008-2011, a trustee of VLDB endowment 2006-2017, as its secretary 2010-2013, and president 2014-2017, and as an Advisory Board Member of ACM SIGMOD, 2012-2017. Beng Chin has participated in the last three once-every-five-years database self assessement meetings: Claremont, Berkeley 2008, Beckman, Irvine 2013, Seattle 2018. Hyperledger++(2015-): He works on benchmarking, and performance issues of blockchain systems, in particular, on consensus model, execution engine and storage engine. His group designed a comprehensive blockchain benchmarking framework and open source called BLOCKBENCH. Hyperledger++ is the blockchain backend of MediLOT, a healthcare blockchain system, which is patient centric and supports decentralized, personalized medicine and healthcare data analytics. ForkBase and ForkCloud (2015-): ForkBase is an efficient tamper-proof data storage system designed to provide efficient support and fast development of forking-enabled applications, such as "GIT-for-Data", tamper-evident Blockchain, collaborative analytics and OLTP with versioning. ForkBase is deployed as the storage engine of Hyperledger++. ForkCloud is a GIT-for-Data system that encapsulates data cleansing, crowdsourcing, ML design and testing, and versioning to facilitate AI development on sensitive data. SINGA(2014-): a distributed Deep Learning platform (indirectly funded by an ASTAR grant and NRF CRP). Apache SINGA is an Apache Incubator open source, distributed training platform for deep learning amd machine learning models, and is designed based on three principles, namely, usability, scalability and extensibility. Apache SINGA v2.0, with auto parameter tuning, is being released. It has a Healthcare model zoo which contains deep learning models that have been used for healthcare research, and also facility for porting other models onto SINGA. He highlighted the challenges and opportunities of exploiting AI/ML on improving database system usabability and performance in SIGMOD Record 2016. GEMINI (2011-): GEMINI is a healthcare AI stack. He works closely with a number of hospitals, understands their needs, and builds an end-to-end data processing and analytics stack. GEMINI end-to-end stack supports data cleansing (DICE), crowdsourcing (DICE), ML-based predictive analytics (SINGA), cohort analysis (CohAna), and data versioning and management (ForkBase). He works with five hospitals on prediabetes prevention (eg. JurongHealth), and NUH and SGH on various disease specific predictive analytics (eg. DPM, AKI, readmission modelling). CIIDAA(2012-2018): a Comprehensive IT Infrastructure for Data-intensive Applications and Analysis is an CRP project funded by NRF (NRF-CRP8-2011-08) from 2013-2017. The main objective is to use cloud computing to address the Big Data problem. For specific applications, this approach has been shown to be effective, and systems such as Hadoop have become very popular. However, they have limitations (see ACM Computing survey paper on MapReduce based systems and IEEE TKDE Survey on in-memory systems), and are suitable only for a class of applications that have a structure amenable to fine-grain asynchronous parallelization. Furthermore, there remain many challenges in actually using cloud computing systems in practice, including issues of resource contention across multiple jobs being run concurrently. The aim of this project is to develop a platform for supporting real-time data integration and predictive real-time analytics in the area of web consumers (collaborating with Starhub) and healthcare (collaborating with NUH, National University Health System). epiC(2009-2013): an Elastic, Power-aware, data-Intensive Cloud platform, funded by an MOE grant (2010-2012). The objectives are to design and implement an efficient multi-tenancy cloud system for supporting high throughout low latency transactions and high performance reliable query processing, with online and interactive analytics capability. memepiC (2014-) is an extension of epiC project focusing on exploiting hardware features, multi-cores and large memory. Related earlier project: UTab. LogBase(2012-2016): a distributed log-structured data management system, funded by ASTAR (2013-2016). LogBase adopts log-only storage to handle high append and write load, such as Urban/Sensor information processing. Indexing, transaction management and query processing are the key issues that have been investigated and source codes have released. LogBase is related to an ongoing research on database support for Energy and Environmental Sustainability Solutions for Megacities. CDAS(2011-2015): a Crowdsourcing Data Analytics System that has been designed to improve the quality of query results and effectively reduce the processing cost at the same time. It is being built as a crowdsourcing system that provides primitive operators to facilitate composition of crowdsourcing tasks. Other key issues such as privacy and applicability, and various applications are being investigated. This document, index.html, has been accessed 3813 times since 22-Oct-18 16:47:40 SGT. This is the 31st time it has been accessed today. A total of 1989 different hosts have accessed this document in the last 183 days; your host, ec2-18-215-159-156.compute-1.amazonaws.com, has accessed it 1 times.